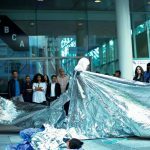 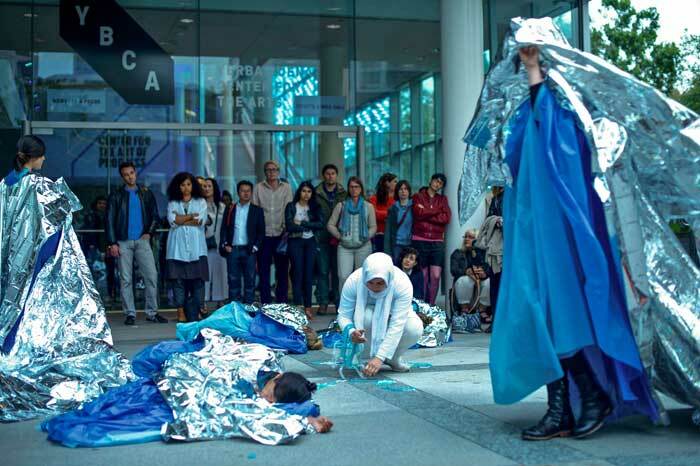 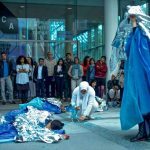 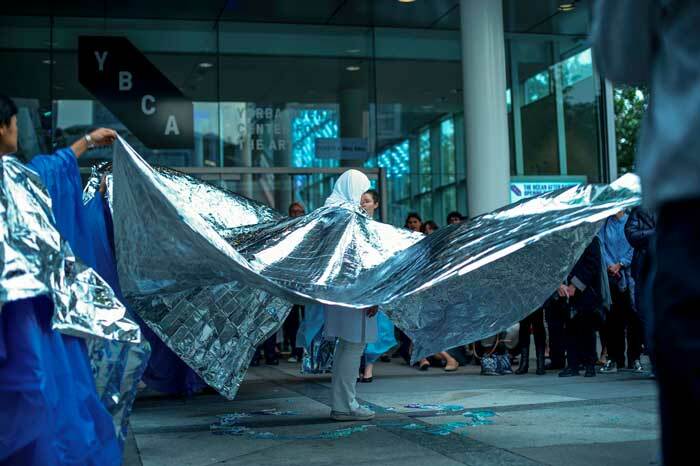 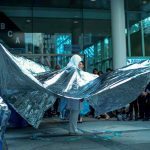 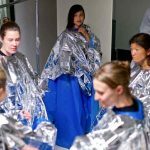 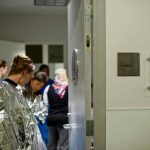 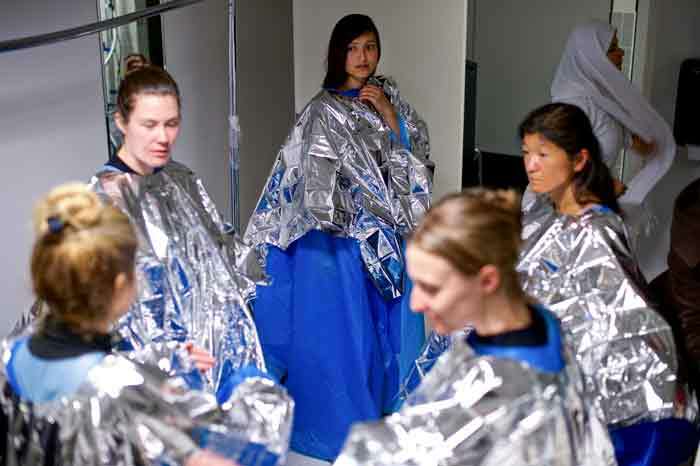 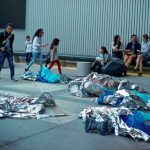 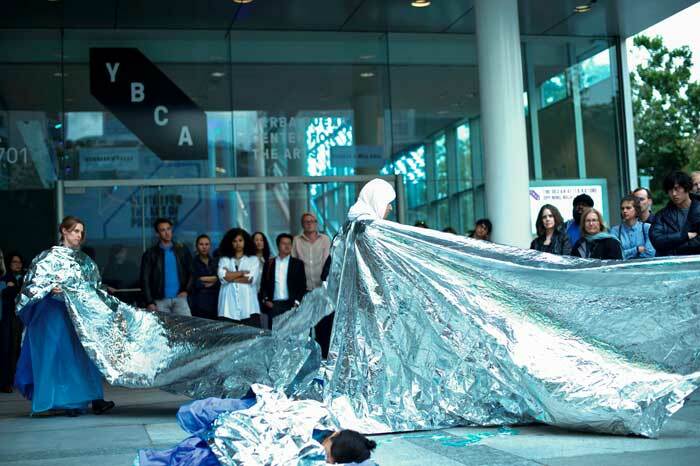 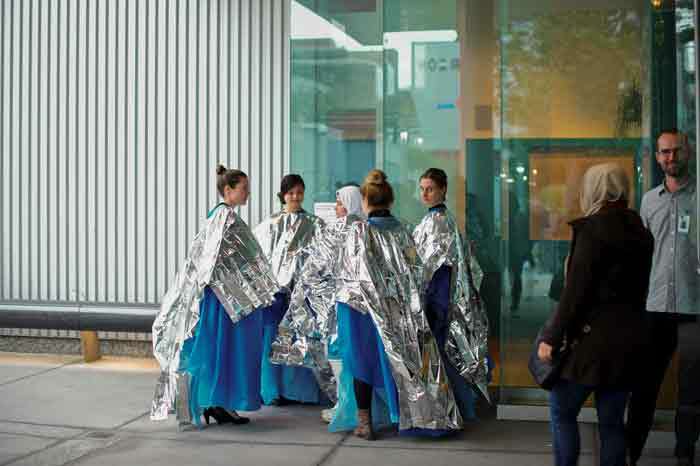 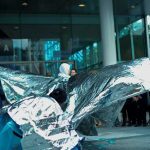 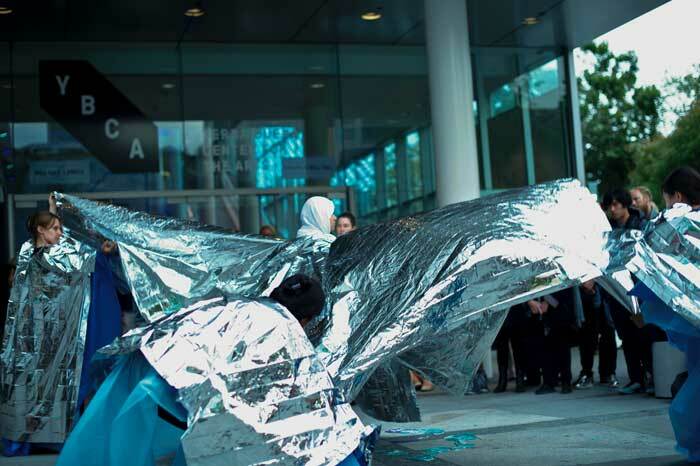 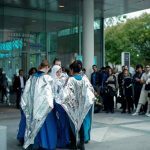 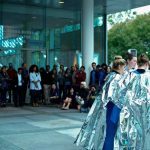 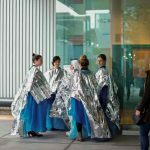 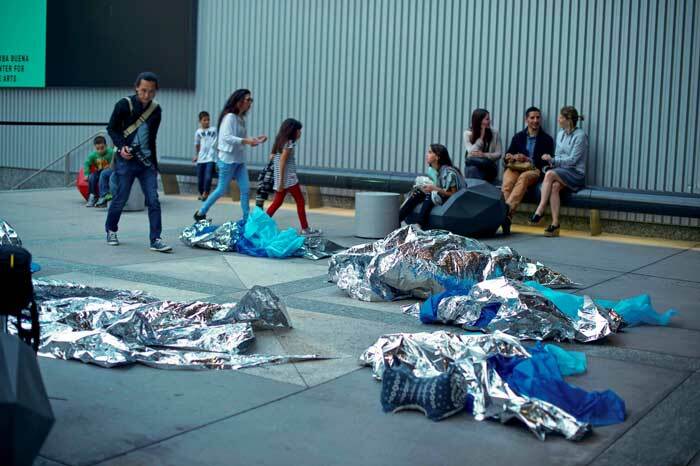 This performance portrays various actions in repetition—walking and marching—to express the feelings I encounter in response to global warming and the migration crisis. 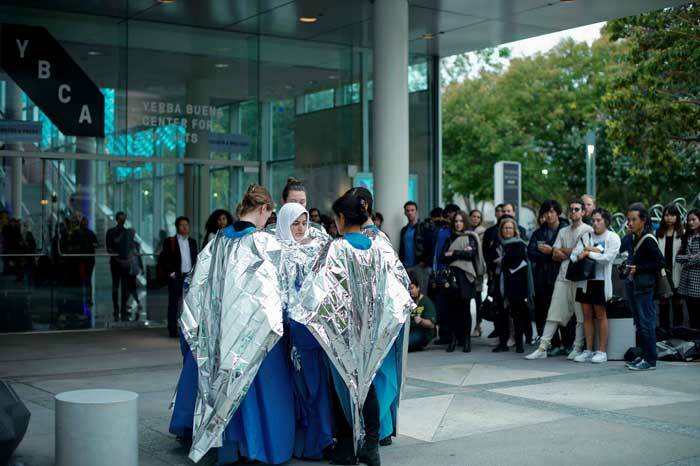 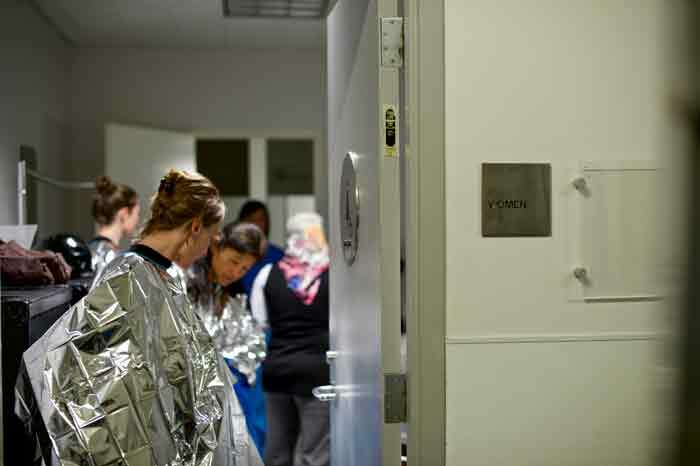 The ritual informed by the flows and geographies of diaspora and migration. 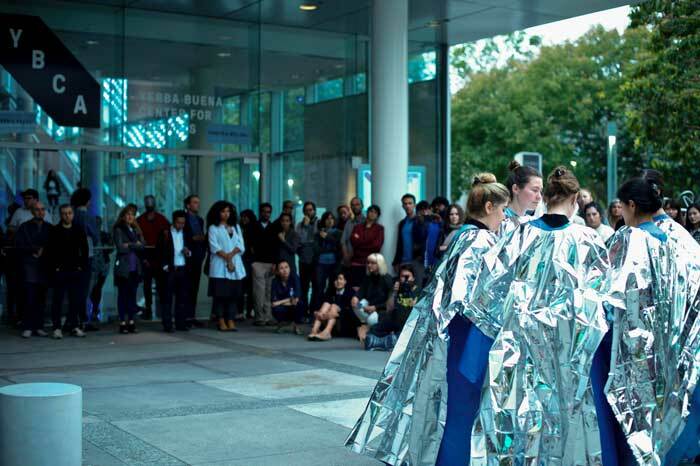 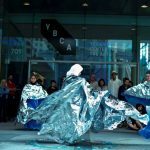 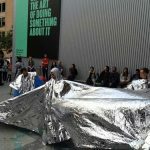 The reflective material visually connects nature, land and the physicality of the human body, while re-creating the sounds of the ocean. 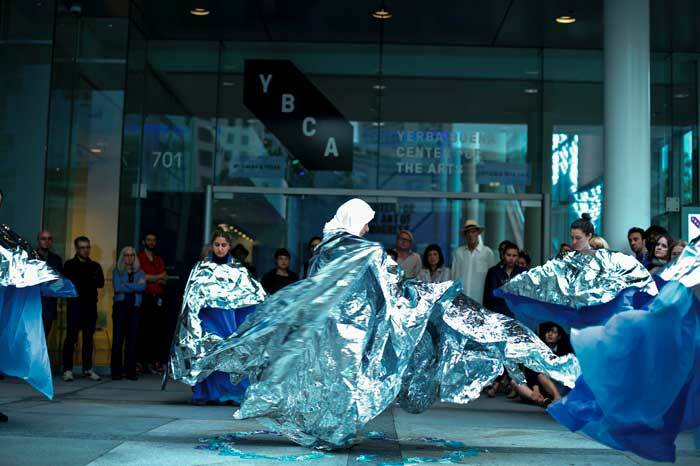 The figures elaborate the shapes of streams and ripples of water with their movements.